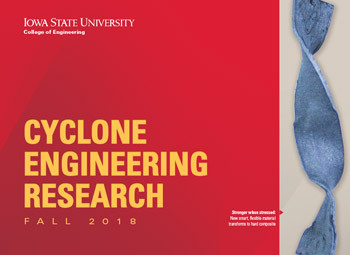 A new research opportunity for incoming Iowa State engineering students allows them to experience the life of a Cyclone Engineer before their first semester on campus even begins. APEXE, or the Academic Program for EXcellence for Engineers, is “designed to increase the success rate of incoming multicultural, first-year engineering students.” APEXE is a component of the university-wide Academic Program for EXcellence (APEX) and is a collaboration between the College of Engineering and the Office of Multicultural Student Affairs. APEXE launched in the College of Engineering in 2013, and this summer it expanded to include a new hands-on research experience in real-world applications of engineering. 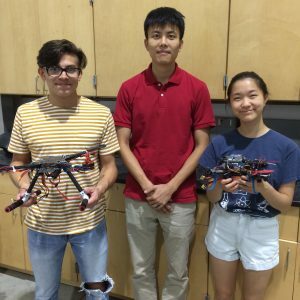 One particular research effort saw two students, Yahan Chang and Andres Garro, joining the research team of Peng Wei, an assistant professor of aerospace engineering. 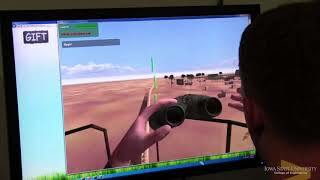 The research explored designing and building UAVs as part of Wei’s research in developing algorithms for autonomous flight. Andres Garro, left, and Yahan Chang, right, pose with examples of the UAVs that Peng Wei, center, is designing as part of his research in developing algorithms for autonomous flight. APEXE scholars worked for 15 hours a week in the lab, developing critical skills that will help them excel in their engineering studies. 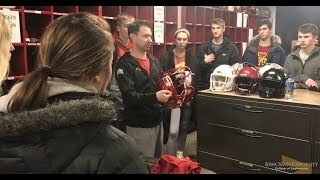 In addition, scholars took Iowa State summer courses, participated in departmental hands-on workshops, visited industry and engaged with engineering alumni, and gained access to various university resources to aid in their retention and success as incoming students. 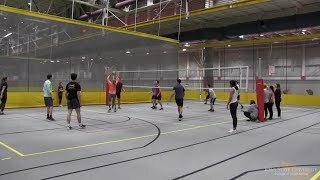 “The growth of APEXE to include a research experience is a unique new way to give scholars a peek at the experiences they will have here in the College of Engineering. From networking with faculty members to meeting fellow students to contributing to innovative research projects, the APEXE research experience is a great addition to an already outstanding APEX program,” said LeQuetia Ancar, assistant director of engineering student services and coordinator of APEXE. 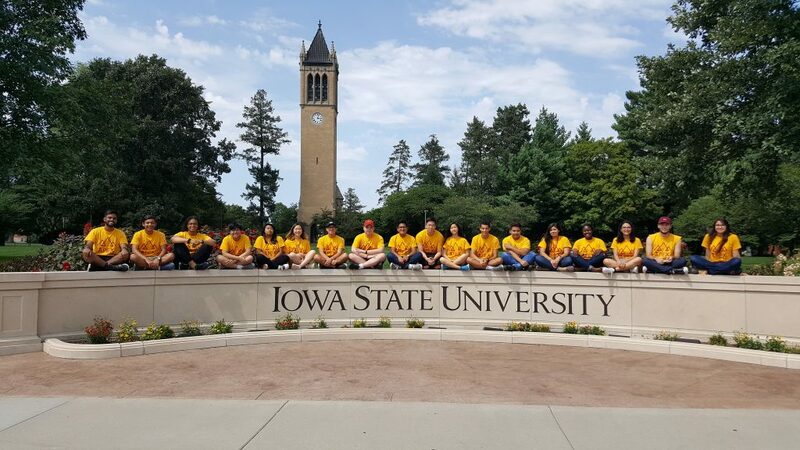 Members of the Summer 2018 APEXE program pose in front of the Campanile on central campus.